In 1959 I was an unsophisticate of 17 at St. Edward's High School a Catholic boarding school in Texas. I was in the 10th grade living in a huge dorm with bunkbeds. Years later when I saw old b+w photographs of the dorm it reminded me of some German Stalag. I remember to this day that a fellow student, Dan Sherrod, by his bunk bed desk, not far from mine, was listening to a record called Inside – Shelley Berman. I will never forget Berman talking about how disgusting a glass emptied of its contents (buttermilk) looked. This was enough for me and I can declare here and now that I have never tried it. Dan Sherrod, the sophisticate, was from Odessa, Texas. He was particularly intelligent and looked the part with his glasses. But he had a way that was not over-the-top “I am superior to you”. One day he gently corrected me on the pronounciation of that French car (I am sure there was not one at the time anywhere in the State of Texas) Peugeot. While most of us read Motor Trend, Sherrod swore by Road & Track. He would tell me about Formula One races. Being an Argentine, at least I knew who Juan Manuel Fangio was. On one weekend afternoon Sherrod was playing a record that I ultimately bought not too long ago here in Vancouver. It was Peter Ustinov – The Grand Prix of Gibraltar. This is a remarkable recording of Ustinov making all the car noises and imitating to perfection fictitious (based on real ones) F-1 drivers of the time. 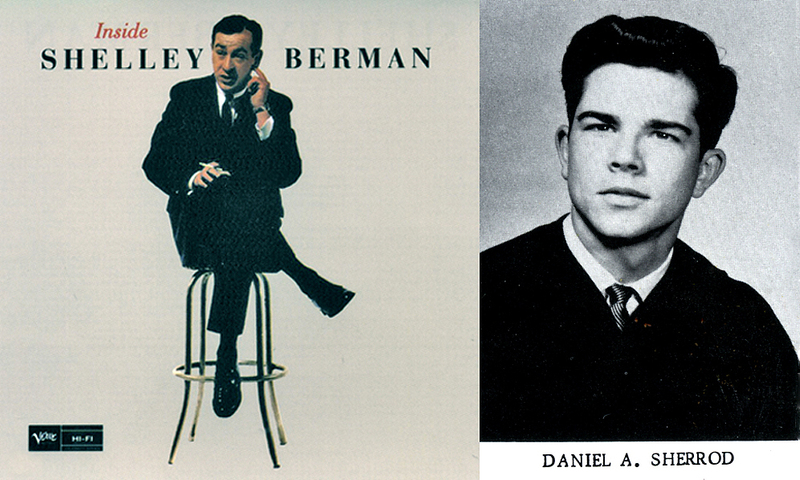 Looking back at my boyhood in Texas, today September 2, 2017, one day after Shelley Berman died, I can pinpoint the young man responsible for making me the snob I am today (and proud of it!). 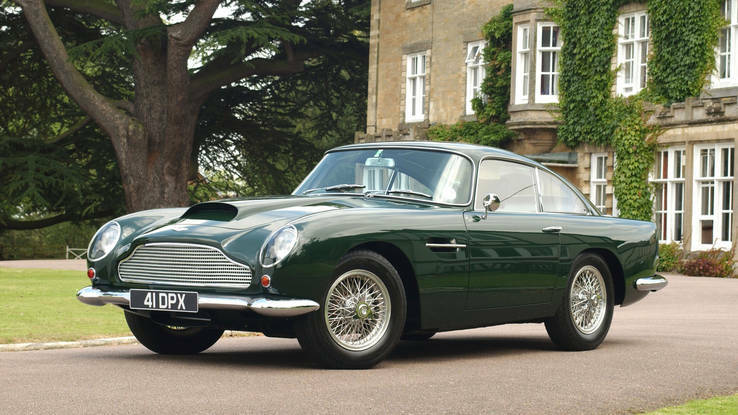 I had a telephone chat with Sherrod who told me he once owned the Aston Martin DB4 his father once (or twice) drove to St. Ed's. We were awed at the car. We were allowed to open and close the doors that made a thick and rewarding clunk of a sound. He is about to sell his over 10 year old Corvette and I believe he told me he was going to buy a Mustang. Who would have ever suspected that Texas could have engendered such a sophisticate as Dan Sherrod? If I ever visit him I will demand he serve me a glass of ice cold buttermilk. And, you'll never get any buttermilk from me. My fine ex-student David Macgillivray visited me today, the day after my melancholic birthday. It was a far nicer day as David brought a bottle of Argentine Malbec and some sweets. We chatted for hours and almost forgot the purpose of the visit. He was to take my picture and I his. David had commitments so I quickly set up the softbox and tested the light at f-8 at 200 ISO. Since both of us have the same camera this was simple. I took two shots. For the first one I forgot to set my f-stop and it was terribly over-exposed. The second one was just right. I believe that David may have taken three. The one here is the one he sent. I will have to wait for him to return from a trip to China to exploit my interest in people with very red hair! Since one of my first birthdays that I can remember, I recollect that they were awful. My birthday is on August 31st, 1942 but for reasons that have never been suitably explained my birth certificate states that I was born April 18, 1943. If you calculate the difference, that is almost 9 months. My mother’s explanation for the discrepancy was that my father had forgotten to register me until months later. She further added that the only proof of my real August birth was to be found in the records of the hospital (Hospital Anchorena, Buenos Aires). So for the rest of my life, particularly when applying for important documents or crossing borders (terrible when I was a small boy) I had to “lie”about my birthday. A further problem is that my mother married my father (who she says was divorced) in a country that did not accept divorce as legal. She told me that they were married in Uruguay where divorce was legal.In all my documents I am Jorge Alejandro Waterhouse-Hayward and in my mother’s it was always Filomena de Irureta Goyena. Furthermore I hate cake. 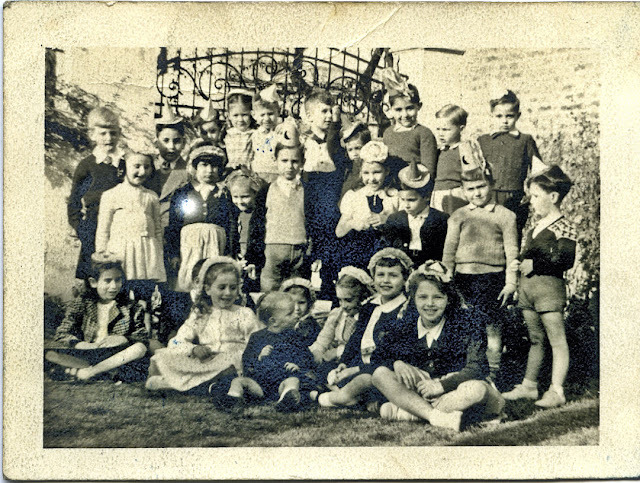 I hate cake because I had to eat cake at the birthday parties my father and mother organized in our Melián 2770 garden in the Coghlan neighbourhood. The horrible birthday party often had to be postponed as around August 30 there is a bad storm in Buenos Aires called La Tormenta de Santa Rosa (St. Rose of Lima). But the most horrible factor of all was a girl called Mónica who was in my class at school. She always broke the piñata, my new toys and invariably put the tail on the donkey and won the potato bag race. I got even with her on her birthday party. I was picked up by her father in what was an almost brand new Chevrolet (1949). It had a beautiful gray cloth interior. Because I suffered from acute motion sickness I threw up on the way. It was awful and smelly. When we got to Mónica’s party I became hungry and asked to eat a few slices of the birthday pizza. You can imagine the negative reaction! Here in Vancouver today at age 75 August 31st is about the back to school ads on TV and in the papers. I am melancholy that my daughters are mature and over 40. I am melancholy that my 15 year-old granddaughter Lauren is too busy getting ready for school to call me and wish me a happy birthday. I am melancholy that the older granddaughter Rebecca, 20 has not been taught (could that be the reason?) the propriety of calling a grandparent to wish him a happy birthday. Would a text have sufficed? I cannot give a conjecture as the text never came. But the worst melancholy is the decline of my garden with the idea that summer is over and fall and winter are around the corner. Only spring will determine if I will live for another birthday. This is a longstanding Native Canadian idea that I adopted many years ago as it seems to be universal as far as the tip of South America. 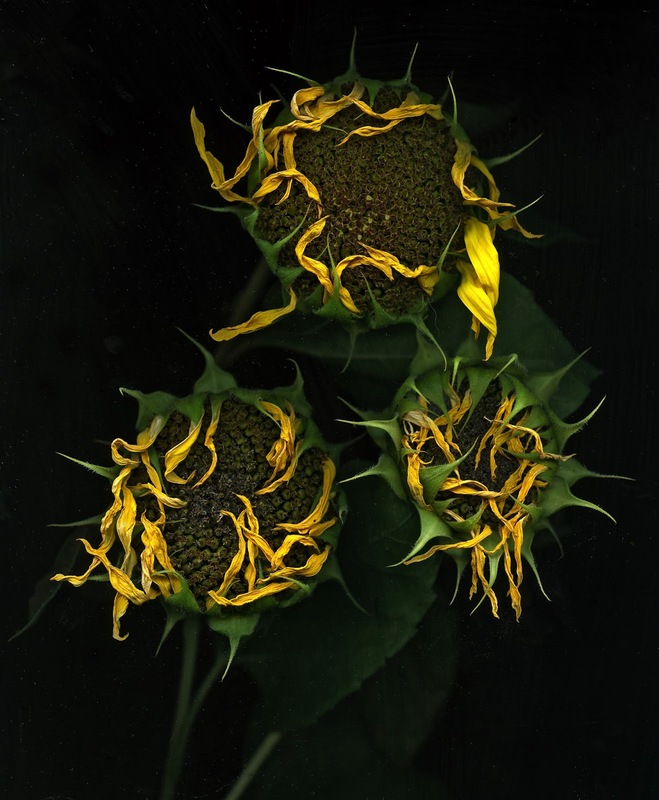 This melancholy does not prevent me from noticing the beauty of our Helianthus annuus as it fades into the fall. “En cualquier momento el tiempo me suicida”, Jorge Luís Borges. Much was written in the 60s on how increasing leisure time was going to modify our lives. They could not have predicted that an evil man, Steve Jobs, would have thought of something that would waste our time and relieve the pressure on what to do with all that surplus time in the form of the iPhone. As an obsolete-redundant & retired old man I have plenty of that leisure time and particularly at night when I turn off the lights. Last night I was thinking that I knew 10 people who committed suicide. If there is anything that I learned well at university was a course in statistics. I look at everything statistically even though as humans we can always find exceptions in those rules that defy all predictions. I photographed 9 of the 10 and two were married to the same woman. Consider that I knew and photographed three people, who did not know each other that died, in separate incidents run over. I wrote about that here. My Rosemary says I think about depressing stuff and yet I cannot understand why the thoughts on those 10 people came to mind. The last person on my list was J.J. Johnson the ultimate and consummate jazz trombonist. A few years before he shot himself (they say he could not face a long and painful cancer) I sat with him for a chat at the Iridium Club in NY City. He was a gracious and polished gentleman who dressed like one. Attempting to understand the aftermath of the oblivion we call death is no less difficult or troubling than trying to understand why anybody would escape life. The young woman here, Carmen, was a bubbly ecdysiast friend of mine who danced at the Number 5 Orange in the late 70s. I will never understand even though I will keep trying why she did what she did to end her life. I can only add that sometimes when I am driving on a curvy road I get this urge to find out what would happen if I pointed the car straight. My guess is that others get that urge. Below in Spanish Jorge Luís Borges is asked by a journalist if he ever considered suicide. En octubre de 1965, Jorge Luis Borges esperaba recibir una buena nueva. Su nombre sonaba para el Premio Nobel de Literatura. Sin embargo, la noticia nunca llegó. Quien sí lo visitaba en un hotel de Buenos Aires era el periodista Rodolfo Braceli. Llevaba una grabadora. Una de las preguntas fue esta: ¿Pensó alguna vez en el suicidio? Luego, Borges respondió con naturalidad. El creador de El Aleph se sinceró. Le dijo a su interlocutor que sí. Que un día había tomado la decisión, pero que luego pensó en que “con tener la idea” era suficiente. “Recuerdo que hasta pensé en adquirir una navaja, una navaja de acero de Inglaterra o de acero de Suecia”, reconocía Borges. Su idea de suicidio era degollarse o bien cortarse las venas. Mientras realizaba tal afirmación, rectificó. El escritor confesó que, en lugar de la navaja, creía que sería más efectivo el cianuro, como así ejecutó la trágica acción Leopoldo Lugones. “La muerte, sin duda, me está acechando, para qué tomarme el trabajo. Antes de mi ceguera pensé muchas veces en suicidarme. Ahora ya es un poco tarde… yo creo que ya no necesito suicidarme”, continúo Borges con su confesión. Link to: Suicide - My Statistical Anomaly? Around 1966 my friend John Sullivan who was conscript in the Argentine Army when I was the same in the navy, argued with me saying that the world was not an absolute represented by black and white. He was a year older than I and much more mature. He understood the value of the middle ground and the shades of gray. I remember him now more than ever in this world that has become so polarized in extremes. A much less relevant topic for most but important for me is the gulf that exists in photography between the idea of the digital and that of the analog. I am no longer the idiot purist of my youth who eschewed putting any kind of filters in my Pentacon F or my Asahi Pentax S-3. I was much too ignorant to know that a yellow filter made b+w film, which was sensitive to UV and blue (more so that with us humans), the film more like the rendering of the human eye. My purist idea was simply a black and white that should have been a gray. An analog computer or analogue computer is a form of computer that uses the continuously changeable aspects of physical phenomena such as electrical, mechanical, or hydraulic quantities to model the problem being solved. In contrast, digital computers represent varying quantities symbolically, as their numerical values change. As an analog computer does not use discrete values, but rather continuous values, processes cannot be reliably repeated with exact equivalence, as they can with Turing machines. Unlike digital signal processing, analog computers do not suffer from the quantization noise, but are limited by analog noise. Analog computers were widely used in scientific and industrial applications where digital computers of the time lacked sufficient performance. Analog computers can have a very wide range of complexity. Slide rules and nomographs are the simplest, while naval gunfire control computers and large hybrid digital/analog computers were among the most complicated. Systems for process control and protective relays used analog computation to perform control and protective functions. I was a whiz with my simple analog computer that was the circular slide rule I learned to use at St. Edward’s High School. I did not know then that it was such a beast, although a simple one. All the above brings me to the topic of hand, the middle ground between old technology and new technology. It may have been Aristotle who observed under a tree sunlight filtering through close knit leaves and noticing a fascinating projection of the world beyond the leaves on the ground. It took Leonardo da Vinci to figure it all out and who is credited with making the first camera obscura. So, in English that would translate to dark chamber or dark room. Here we had a dark room without chemicals or enlargers or film. He was ahead of his times. It wasn’t until 1826 when Nicéphore Niépce’s heliographic image View from the Window at Le Gras finally combine da Vinci’s dream with his reality saved for posterity on a sensitized emulsion floating on tar sand. In photography one (and I) must never forget what came before. The lastest technology of miniature speakers on the side of a home computer cannot match the technology of the past in big studio monitors. But if you have never listened to music with studio monitors then you do have the ability to judge the quality of music emerging from a cell phone with ear buds. It took my Rosemary about three and half years to convince me that needed to get modern or get fu…. (the motto of the Vancouver band, The Modernettes) . And so I purchased a Fuji X-E1and I have been happy since but without completely abandoning film and metal clunker cameras. I did (for a short while) adopt the wonders of digital technology when I purchased an iPhone 3G. I even managed to get the Georgia Straight to use the photographs I took with it without any comment on their quality of lack of it. But I soon abandoned the 36 as the Fuji X-E1 was the better camera and the excitement that some photograph was excellent even though I had used the 3G wore off. In fact I have not taken one photograph with my Galaxy phone. Perhaps because the Galaxy has a better camera. 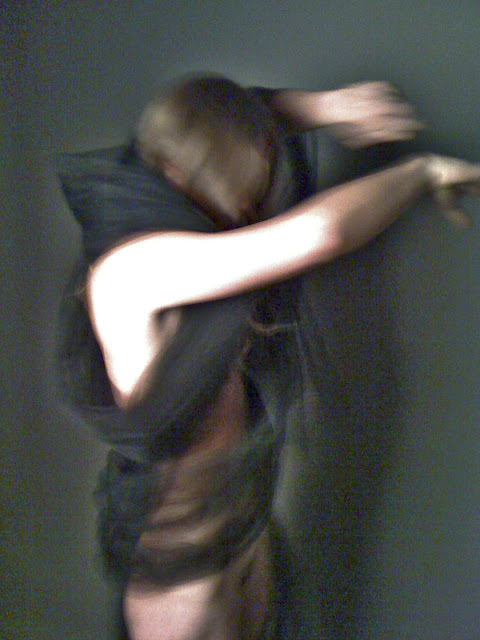 Recently I have gone to my iPhone 3G files and noticed some nudes I took as an instructor at the now gone Focal Point. 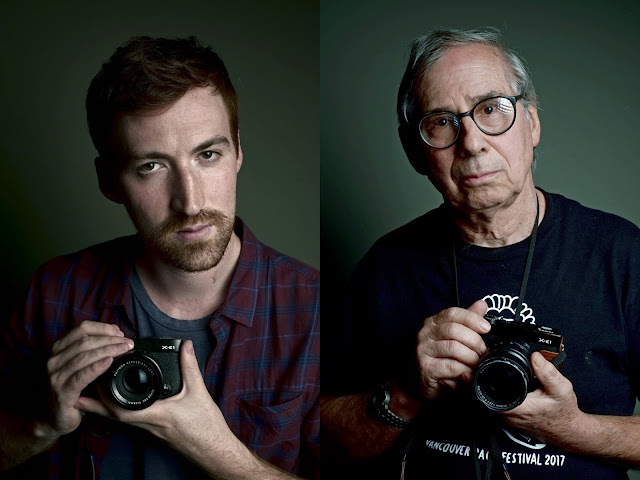 My students mated their digital cameras to a soft-box flash. Not wanting to intrude I would every once in a while pull out the 3G and take some snaps. What you see here at the images that can pass muster with the on-line censors. Notice the neat grain (noise) and off colours. The photographs almost make me want to pull out my 3G from retirement. Ample proof that the latest is not always the best. The catch is to remember that past.